The modern world is loud. Very loud. Trains, planes, and automobiles zooming left and right, people talking all too loudly in the workplace, pesky parents preaching about school, and jobs, and life in general, and all this when you just wants to relax and plays a nice game of DOTA or League of Legends. If you’re experiencing any of these inconveniences, you might want to acquire a nice, snug pair of noise cancelling headphones. However, it is well known that such a precious modern piece of technology is very expensive, and you certainly wouldn’t like to be left without your birthday money after just one purchase, especially if you wanted to heed our Lord Gaben’s call and preorder a copy of No Man’s Sky. We’ll get this thing on the move with an item from Monoprice, which stands out as a great choice for anyone looking for a headset that is first and foremost comfortable and easy to wear. Many music fans are passionate individuals who spend hours upon hours listening to their favorite bands and even if the headphones offer the best sound in the world, they will get tired if they are cumbersome and uncomfortable. The company knew that and crafted this fine product! 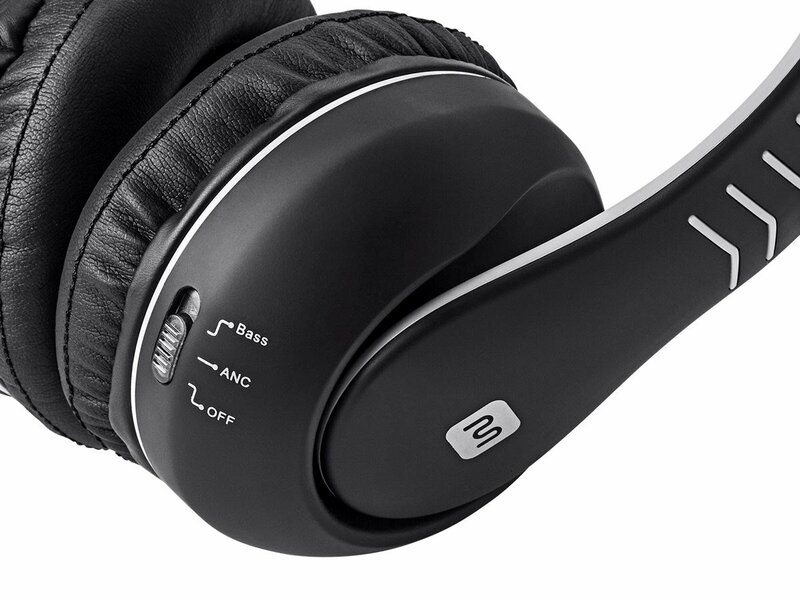 These Monoprice headphones offer excellent noise cancelling qualities. They are lightweight and are said to be compatible with most Apple and Android telephones. They have and over the ear design, meant to cover the entire ear of the user, to add passive protection, as well as active. Also, these earphones come with in-line controls with a microphone allowing the user do increase/decrease volume and answer/terminate Skype calls. These headphones have a 20 hour play time and are powered by two AAA batteries. They can block up to 15 dB of noise, and have a 10dB bass boost to increase their efficiency. They also boast an aux port, featuring a 3.5 mm adapter, and a detachable cable. Note that one of the key strong points with this pair is top-level durability. Therefore, if you need a set of headphones that can take a punch, this is your winning ticket. The sound is well balanced and can cover a variety of sonic landscapes and moods. Whether you’re into ambiance stuff or full-on on bone-crushing metal music, these puppies have your back. We’ll sum up our thoughts in a pros ‘n’ cons rundown below. The design is on the modern site, with the manufacturer obviously trying to please the fans of today’s top-level devices such as a variety of Apple products and high-end phones. 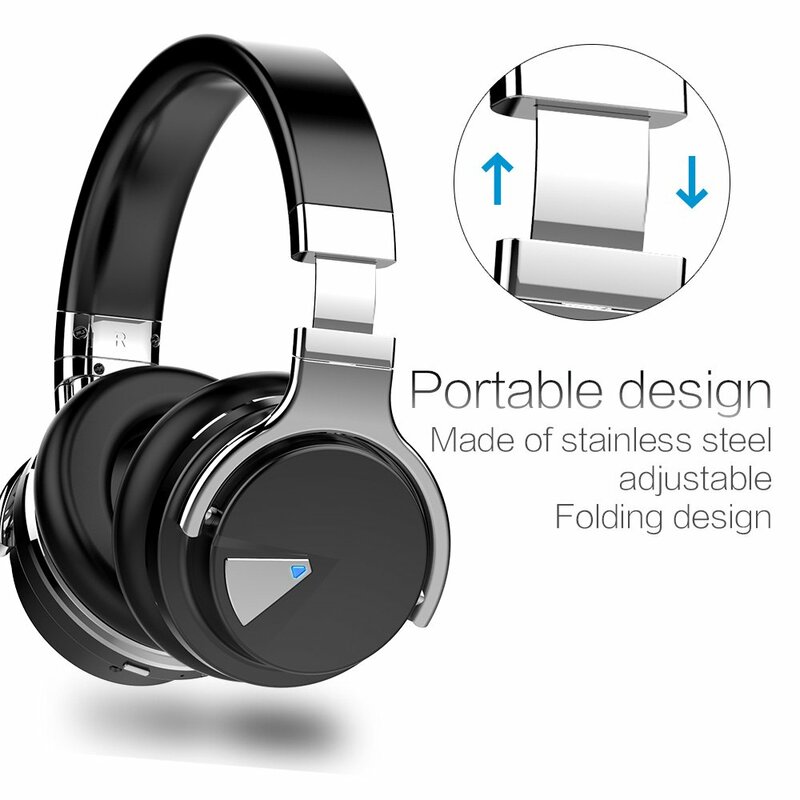 But apart from the sleek looks, this is actually one of the most durable items on the list, loaded with sturdy metal parts placed at what are typically seen as weak spots for the majority of headphones out there. Additionally, and perhaps most importantly, the company made sure that the level of comfort stays at top level at all times by adding extra pads and layers of foam. The addition of the detachable cable is a great touch, as it allows you to change the cable when it breaks (and cables do break, of course) and significantly extend the product’s overall durability. The sonic attack of this fella is super balanced. Apart from the aforementioned boost and noise-cancelling features, the manufacturer gave a strong emphasis to the bass frequencies, making sure that they produce a proper level of warmth and fuzz, thus creating a stable audio foundation for the middles and the trebles to kick in. Additionally, the in-line controller is a nice touch to add to that versatility, leaving us with no choice but to give this fella a thumbs up! 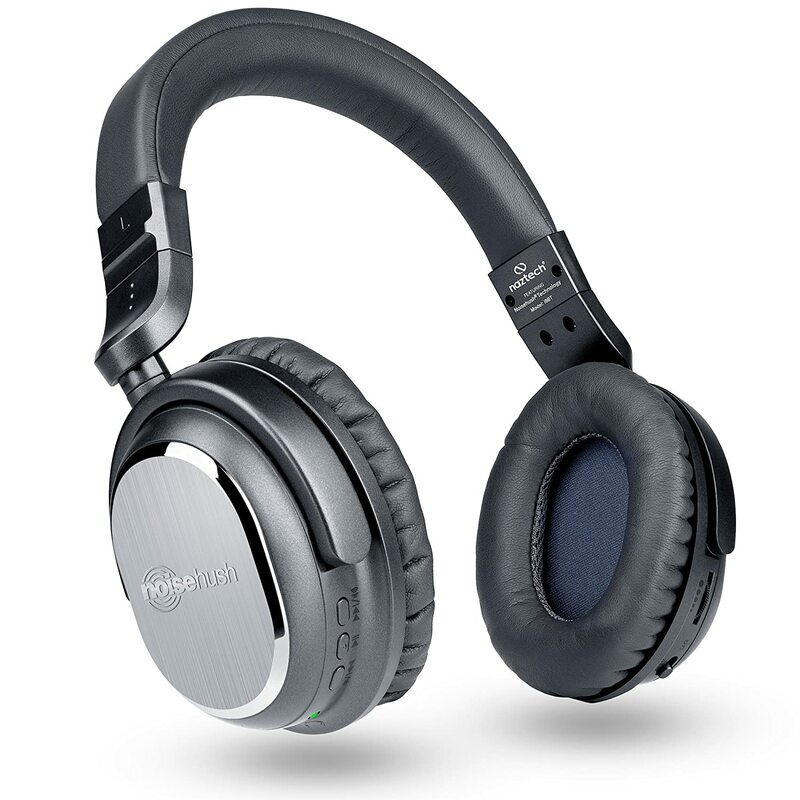 Active Noise Cancelling with bass boost, both of which can be turned on or off, allowing for passive noise isolation. Up next, a sleek representative from Eonfine. The reason why we included this pair on the list is the stellar reliability and compatibility they offer for the listed price. Needless to say, the sound quality is on a high level and pretty much every factor delivers a good bang for the buck, but if you’re after a product that can hook up to any system and never fail you – this is it. 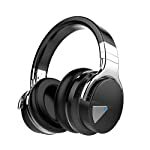 This set of headphones offers active noise cancelling that blocks up to 90% of low-frequency noise, with an active noise reduction chip that can be toggled on or off. They boast over the ear cups with padding made of whole protein skin, which is very skin-friendly, and the padding offers passive noise cancelling. They also have in-line controls compatible with both Android and Apple phones, with both an audio jack and a wireless Bluetooth that can function without any interference or any loss of audio quality at a distance of 10 meters. They are low latency, so Skype calls will not be affected by the Bluetooth mode. They are powered by rechargeable lithium batteries, offering 14 hours of high-quality audio, and can still be used with the batteries empty via the audio cable. They come with a built-in mic and a micro USB slot. The sound is punchy and strong, featuring a distinctive treble line that secures a streak of brightness among all that sonic boom. Good stuff, really. If you like your headphones to pack a bit of that futuristic elegant vibe but still not look like something that came out an “Alien” movie, this is your winning ticket. The looks are super sleek, with just about every extra feature geared up towards increasing durability or making the device easier to use. One of the things we would like to point out in this department is the fact that the ear padding is skin-friendly, meaning that if other headphones cause issues on your skin, this is your winning ticket. The durability is at a rather high level, and we really have no complaints in that department. We have to give the company some major kudos for the level of noise reduction here, because they’ve done a stellar job in cancelling out all the unwanted frequencies. But that’s not where it stops as the sound of this thing is also highly memorable and very close to high-end devices that cost several times more. The tone is rich with strong punch and crunch. The middle frequencies stand out but the rest of the gang closely follows with warm basses and bright higher frequencies. This thing roars and will enhance your listening experience regardless of your favorite music style and genre. Both active and passive noise cancelling, padding cradles the ears perfectly. Skin-friendly padding, perfect for long use without causing irritation. Wireless low-latency Bluetooth which does not affect audio quality. High compatibility with Android and IOS with in-line controls. Though the batteries offer 14 hours of playtime, this number is smaller with high audio volumes. Active noise cancelling will not work if the batteries are drained and the device plugged in via the aux cord. As the most beautiful device on the list, the H501 headphones are up next, mixing a pair of two massive speakers and some modern elegant looks. Note that a carrying case is included in the price here, which is a rather nice bonus. Wonderful set of headphones that eliminate 92% of low-frequency background noise, but is also able to block some high sound volume. Padding is made of premium memory foam, surrounds the entire ear, offering added passive noise cancelling. Active noise cancelling can block 22dB noise, with passive padding this goes up to 35 dB. Remote control compatible only with IOS, but in-line microphone compatible with Android as well. Rechargeable AAA batteries with 50 hours of high-quality audio played through two 40mm-diameter NdFeB magnetic drivers and frequency response equilibrium technology for rich bass, powerful and balanced sound. We really have to point out the sheer power of that bass because the groove is just over the top! If you are a fan of bass-driven music and effects, this is the right choice for you. On the downer side, there is no Bluetooth, which can be a breaking point for some customers. But the sound, the sound just kills it! These just might be the best sounding item on the list and best noise cancelling headphones under 100 bucks. All the sonic frequencies are extremely well covered and the device is rather adaptive and versatile, allowing you to enjoy any sort or music and ambiance to the full extent. The list of good and not so good factors about this product awaits below. In this case, the company opted for a bit more of a bulky feel and vibe, resulting with more resonance and punch in the sonic section. But in the design section, this made the device just a tad heavier and significantly more durable and less prone to physical damage. Additionally, the larger ear pads meant an extra injection of the premium foam, takin the comfort factor to the new level. 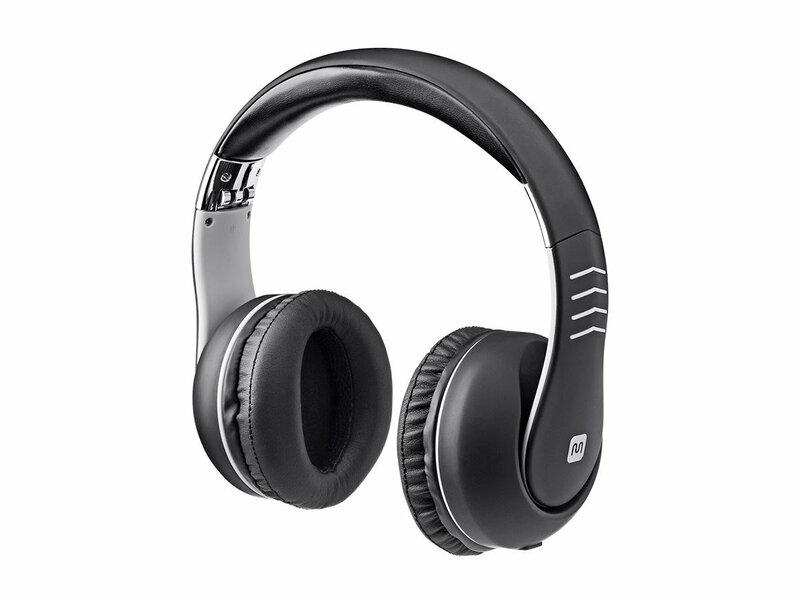 As a matter of fact, these just might be the most comfortable noise cancelling headphones within this price range. As for durability, these puppies are sturdy as a tank and should be able to serve you well for a long time as long as you don’t do anything extreme with them. The sound is top-notch! All the frequencies get their share of sonic space, but we would have to single out the strong basses as the most distinguishable part of the H501 sound formula. The low end is warm, punchy, just a tad fuzzy – it’s everything a good bass section should deliver! Spice it up with high resonance and you’ll get possibly the highest-quality sonic attack this price range can deliver. Very long battery life + rechargeable batteries. Premium foam padding allows for extended use. Remote control will only work with IOS. Will not work if batteries are drained, even though the device is plugged in via aux cord. If you are in pursuit of a pair of headphones that will bring out the best of any sonic source, whether you’re just plugging into a cheap laptop or a high-end sound system with preamps and other tasty goodies, this is it – the Naztech i9BT. Top quality headphones with outstanding noise elimination capabilities. 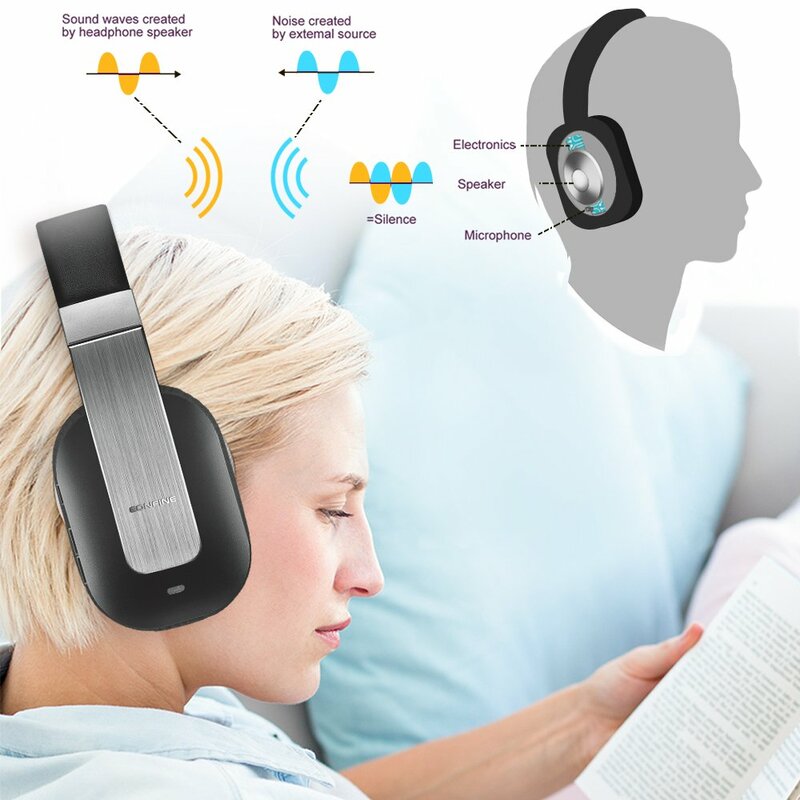 Active noise cancelling blocks 90% of external noise. This headset boasts universal compatibility for both IOS and Android, as well as PC and Mac. They have Bluetooth connectivity for wireless use, and they are powered by lithium-ion rechargeable batteries that allow for 15 hours of playtime. They also come with a built-in mic, so that they can be used for Skype conversations. Twenty-four months warranty (12-month manufacturer warranty + 12-month warranty for Amazon buyers). The sound of this pair is quite strong, resonant, with prominent middles in the mix that work great for a variety of musical styles, as well as different types of sonic effects and ambients. On the downer side, some users report that occasional minor issues with Bluetooth can occur if you stretch them out too much, so don’t force it. If you’re not running around the house with these, you’ll be just fine, so no need to worry too much about that. Additionally, having a 24-month warranty is a great plus that gives users a feeling of security that even if something goes wrong, this puppy is in safe hands. Pros clearly outweigh the cons here, leaving us with no choice but to give this Naztech a thumbs up. Good stuff! This item features a bit of a peculiar curve on the upper side, making the headphones both memorable on the aesthetic side and extra comfortable on your noggin. Apart from that, the headphones look pretty much like any modern pair out there – elegant, dark, sleek and just a tad futuristic. The durabiltiy is at a high level, and although minor issues with Bluetooth connectivity can occasionally appear, we really have no major complaints in this section. A thumbs up! What makes the sound of Naztech i9BT stand out is the treble section. These headphones carry a distinctive high-frequency pitch that enriches the final audio output with brightness and clarity none of the other listed items really have. If you like to be able to distinguish all the instruments of the music you’re listening to or just clearly hear all the aspects that compose the given audio mix, this is the product we would like to recommend. It’s a top-level package overall, and this bit just makes the whole deal ever more appealing. Minor Bluetooth issues can occur. 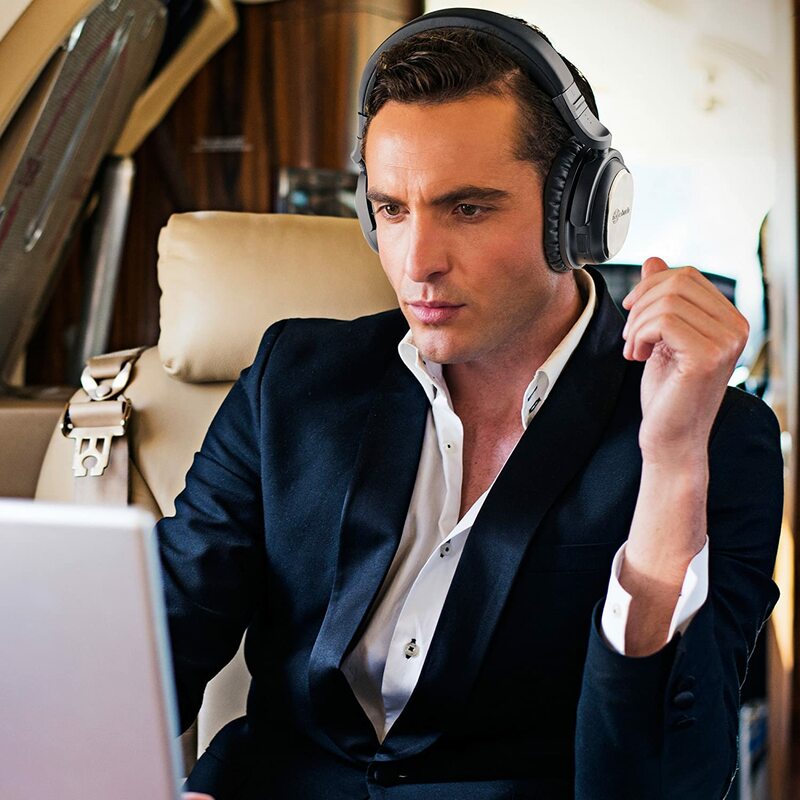 Rounding up our list of best noise cancelling headphones under 100 bucks, we bring you the Cowin E-7, another great option and another top bang for the buck. These puppies are prime noise cancelling headphones, capable of blocking most low-frequency external noise. Along the active noise cancelling, the cup padding offers a very fine fit adding to the noise reduction. They boast 40mm high-quality large-aperture drivers that ensure superb audio quality. This is HD stuff we are looking at here and a rather pleasant surprise for the listed price range. 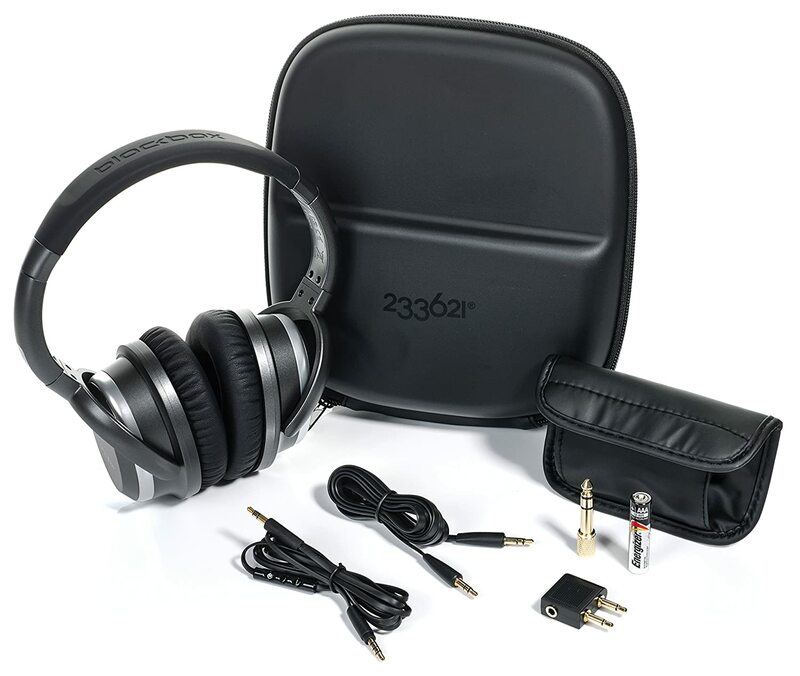 The headphones come with onboard Bluetooth wireless connectivity capability and are powered by rechargeable lithium batteries that offer up to thirty hours of playtime, with only 2-3 hours of charging with a standard universal phone charger. They still work even if the battery is drained, which is a great feature for more mobile users. In my humble opinion, the value for money factor is what stands out here, as you really get a top bang for the buck. 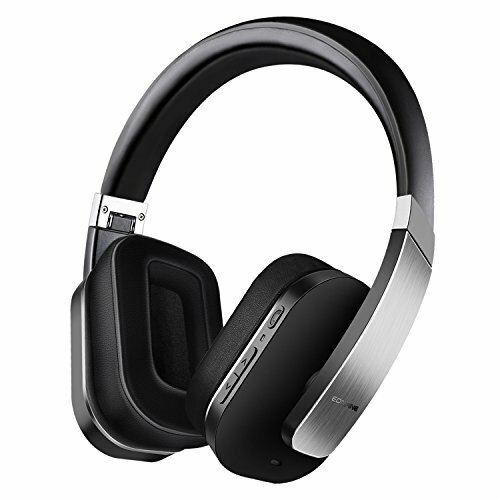 The sound is punchy and fuzzy, noise cancelling is quite solid and although some users have reported minor issues in this department, we still give it a thumbs up at the listed price tag. Additionally, the battery life of these things is quite long. We took them out for extended periods of time and the charge just never went away at any volume. This is something a fair share of the users greatly appreciates and a factor worthy of pointing out. Overall, some solid goods we have here! As always, make sure to check out the rundown below for a brief summary of all the product features. We have to admit – we love these looks! Futuristic, elegant, sleek, subtle – the E-7 really hits the sweet spot in our book. But it’s not all just about the looks, not by a long shot. Without being highly durable, reliable, and offering an extended life, these puppies wouldn’t even be considered for our little rundown here. 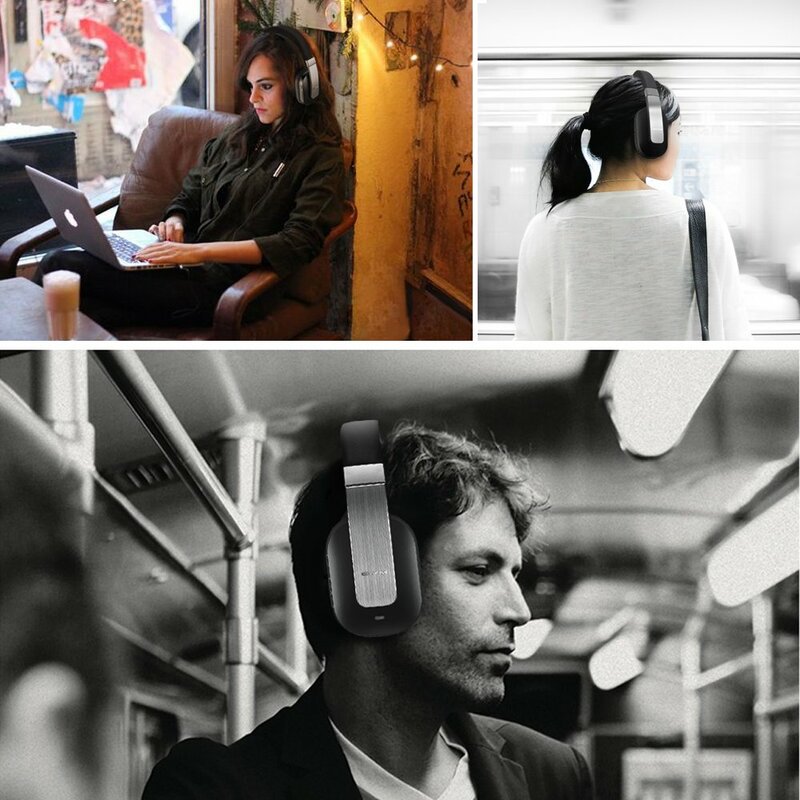 The comfort is also at the highest level drawing a simple conclusion – despite being significantly cheaper than most items on this list, these headphones still offer the same level of quality in the design department, and for that we salute them. The audio produced by this thing is more on the well-rounded side. None of the frequencies stand out – the basses are warm, the middles are punchy and the trebles are bright – resulting in high versatiltiy and ease of use. However, the headphones do lag behind the other devices in terms of noise cancelling. It’s nothing major, but the difference in quality is visible. Therefore, if that feature is on top of your list of priorities, you might want to choose a different item. Don’t be mislead though – these puppies still deliver solid noise cancellation, it’s just that it’s not on par with the rest of the boys, which happen to be more expensive too. Slight issues with noise cancellation. 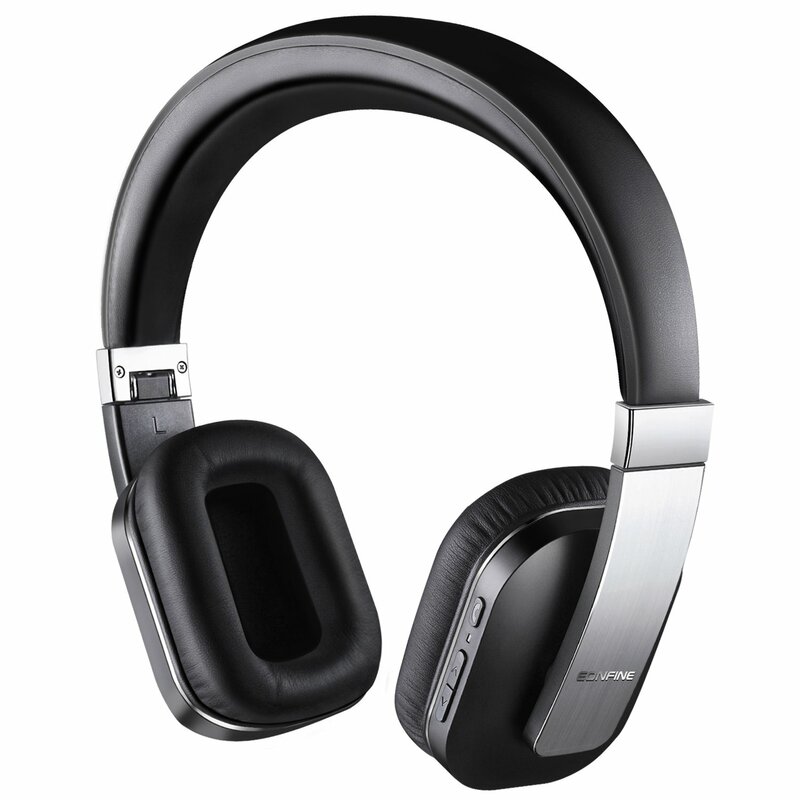 What is The Best Headphones Noise Cancelling Headphones Under 100? To round up this review for the top-quality headphones under 100 bucks, these are the very best. 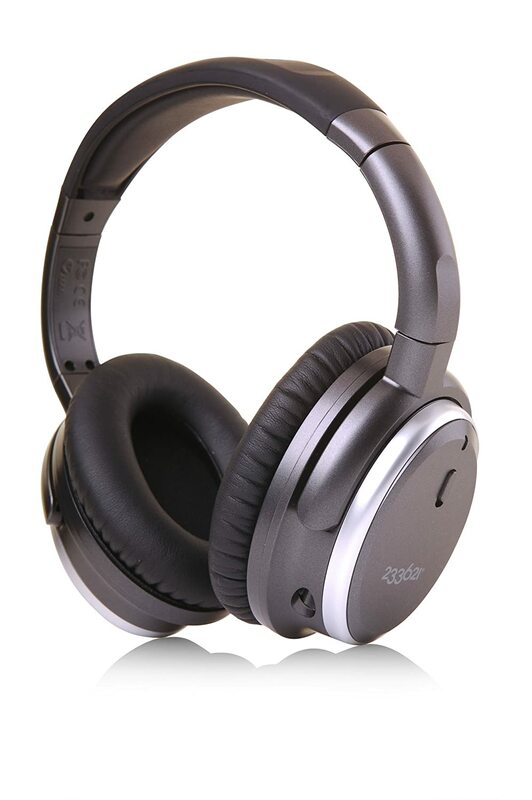 They are outstanding noise reduction devices, and will provide excellent audio quality on top of noise blocking. Most of them are also compatible with a wide array of devices and phones, and most have a wireless connectivity, allowing you to take them outside while doing some yard work. However, if it came to simple pros and cons the last two sets are the best of the bunch. They have everything the rest of them have, but do the job better, with virtually no bad sides, which means they are perfectly adaptable for any situation. 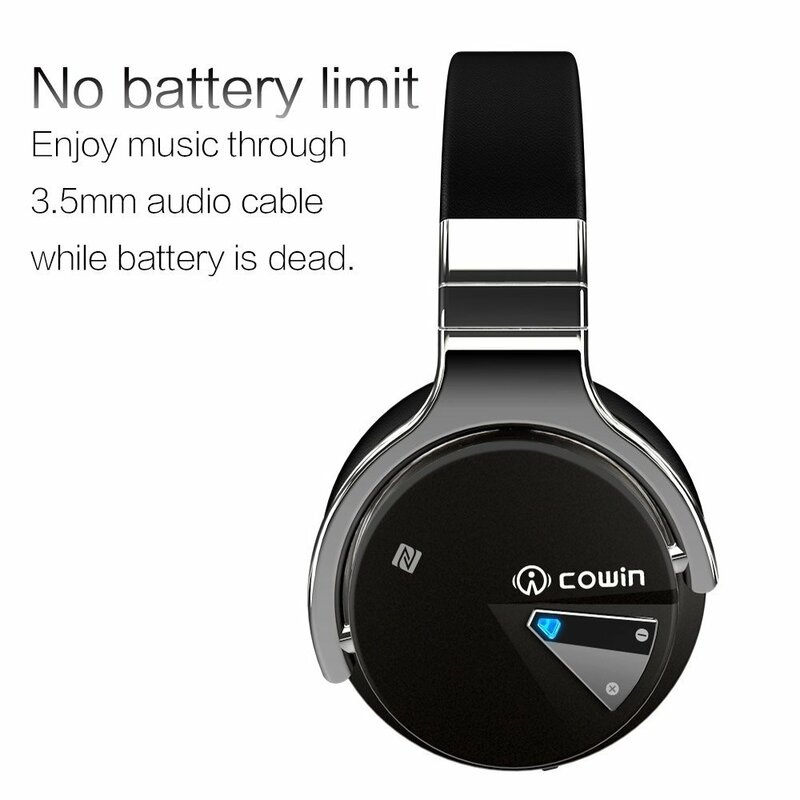 But, as the winner must be declared, it would be best to declare the Cowin E-7 headphones the leader of this group. This is due to their splendid qualities, but mostly due to the fact that they offer a staggering thirty hours of playtime, complete with Bluetooth mode and ANC being turned on, which is twice as much as that of the Naztech i9BT. When the line is drawn, these were the best noise cancelling headphones under 100, you’ve been great, we hope you enjoyed the ride! Incase you don’t want over ear type headphones, let’s try some model noise cancelling from earbuds at here. Any feedback from you folks is greatly appreciated, so feel free to fire up those likes and comment section.